Warner Bros. has unveiled the designs for this year's Comic-Con bags. Warner Bros. will again be doing collectible bags for Comic-Con, and this year, some pins are added to the mix! You can read the press release below, but first, how about a gallery of what will be available? These treats will be available at the Comic-Con International in San Diego next week. IN IT TO PIN IT?! BURBANK, Calif. (July 14, 2017) — It’s in the bag! Warner Bros. and Comic-Con® have joined forces again on the official bags of SDCC 2017, with new, unique versions for fans to enjoy, and this year, the cool convention carriers come with a hidden surprise — an exclusive DC Super Hero pin for fans to add to their collection. Fans can channel their inner Super Hero by proudly wearing the unique collector’s pin as they enjoy their unforgettable Comic-Con experience. With a total of six DC Super Heroes — including The Green Arrow, Batman, The Flash, Supergirl, Superman and Wonder Woman — featured on the pins, there’s something for every DC fan who can also swap pins with fellow enthusiasts. With new shows added to the mix for 2017 and 20 bold designs, fans can collect all their Comic-Con swag in one super-cool, carry-everywhere companion. The bags are distributed to fans when checking in at the show, and this marks the eighth year that Warner Bros. is providing the official bag of the world’s leading comics and pop culture convention. Designed by Warner Bros. Worldwide Television Marketing, each of the 20 different editions of the 2017 Comic-Con bag features iconic show-related imagery on one side, with the Comic-Con 2017 official design appearing on the opposite side. 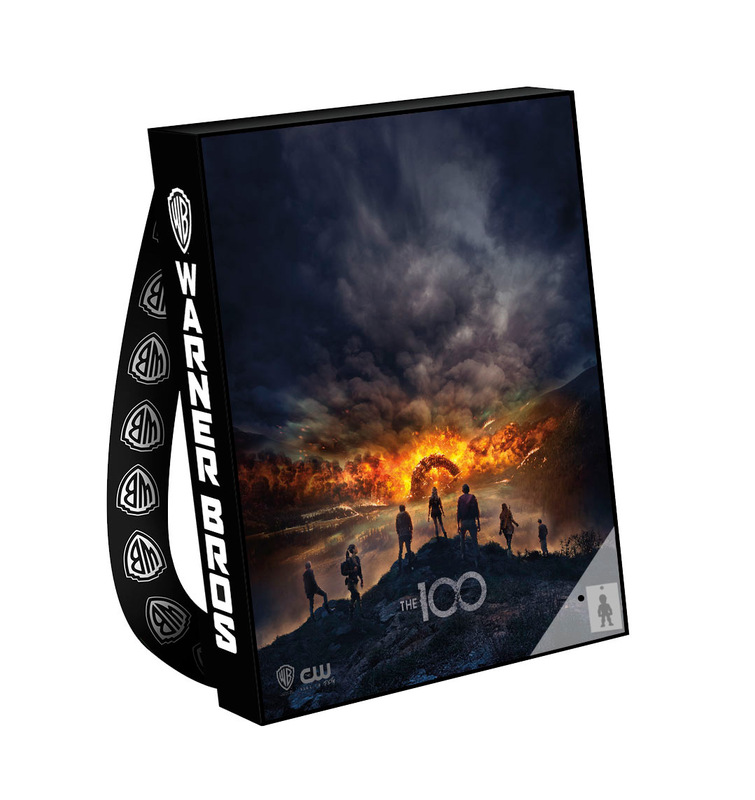 Warner Bros. Television series featured on the SDCC bags are The 100, Arrow, The Big Bang Theory, Black Lightning, DC’s Legends of Tomorrow, The Flash, Gotham, Lucifer, Riverdale, Supergirl, Supernatural and Westworld. Warner Bros. Animation series highlighted are Justice League Action and Teen Titans Go!, along with Blue Ribbon Content’s upcoming digital series Freedom Fighters: The Ray. Warner Bros. Consumer Products’ DC Super Hero Girls is also showcased. Feature films highlighted include Blade Runner 2049, Justice League, The LEGO® Ninjago Movie and Ready Player One. For continuing info on the Studio’s plans at Comic-Con, please visit comiccon.thewb.com and follow @warnerbrostv on Twitter (hashtag #WBSDCC). For official information about Comic-Con 2017, visit www.comic-con.org and follow Comic-Con on Twitter at @Comic_Con (hashtag #SDCC).